From the same reader that emailed the historic photos of the Gowanus flooding Fourth Avenue (we'll have a couple of modern-day photos later this week), we offer two more images of Gowanus in the 70s. Specifically, in 1876 (top) and 1877 (bottom). 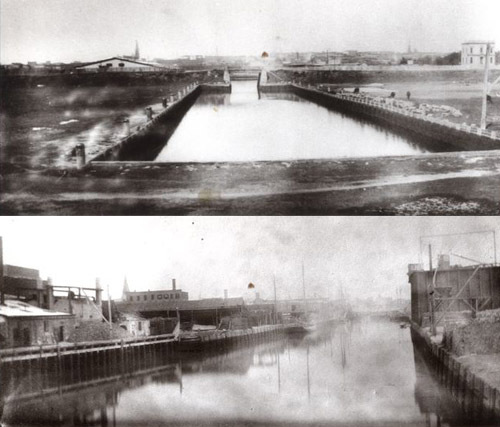 We assume the top photo is the end of the canal. We have no idea about the bottom photo. Interesting stuff. Is Thor Coney Ticking Off City Officials?